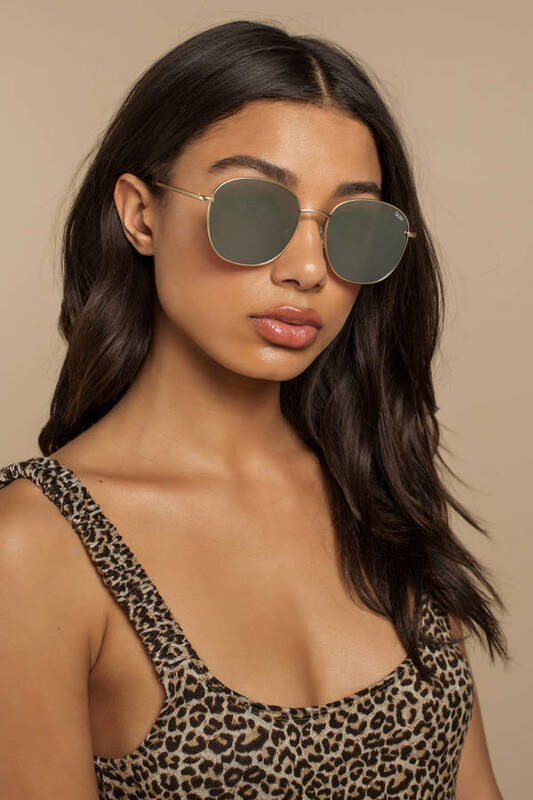 Check out Tobi's Jezabell Oversized Sunglasses Stay cool in QUAY's Jezabell Gold Oversized Sunglasses. These teal tinted sunglasses feature an oversized construction and a thin wire frame. Have summer feels everytime you wear these cute oversized shades. 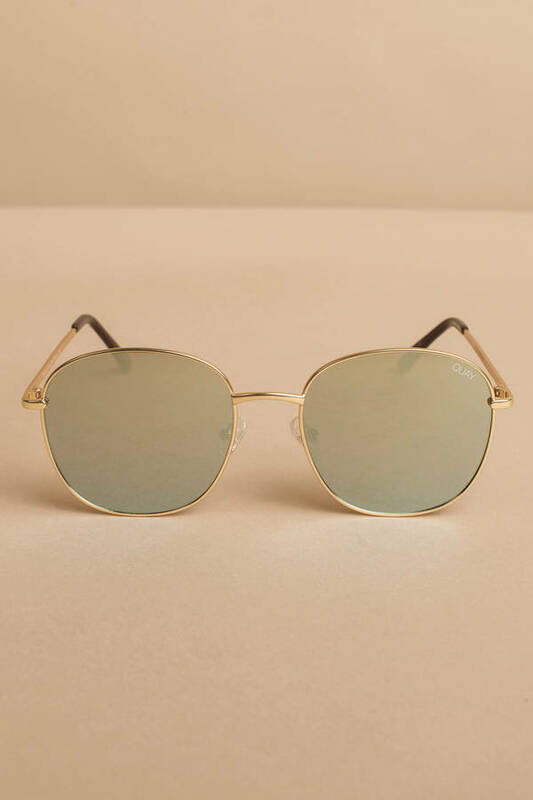 Stay cool in QUAY's Jezabell Gold Oversized Sunglasses. 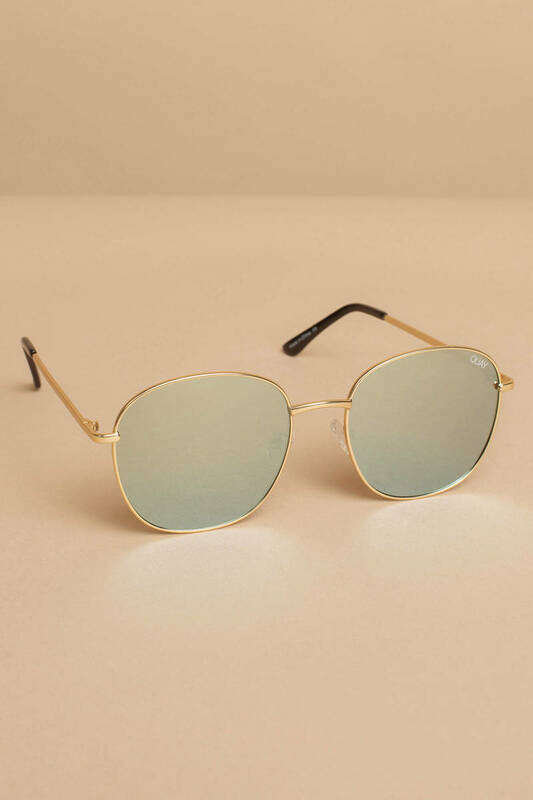 These teal tinted sunglasses feature an oversized construction and a thin wire frame. Have summer feels everytime you wear these cute oversized shades.